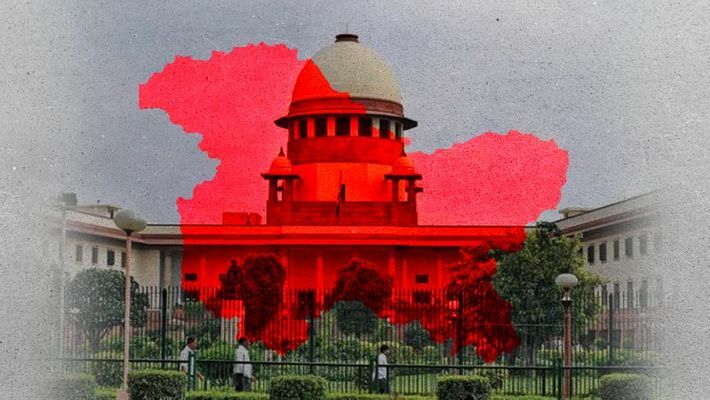 New Delhi: The standing counsel for the state of Jammu and Kashmir is dragging its feet regarding the hearing into the case of Article 35 A of the Constitution — the draconian law which circumscribes citizenship and therefore people’s rights in Jammu and Kashmir. The standing counsel on Monday once again sought adjournment of the hearing, scheduled between February 12 and 14 in the Supreme Court. Article 35A is called the “soul” of Article 370. 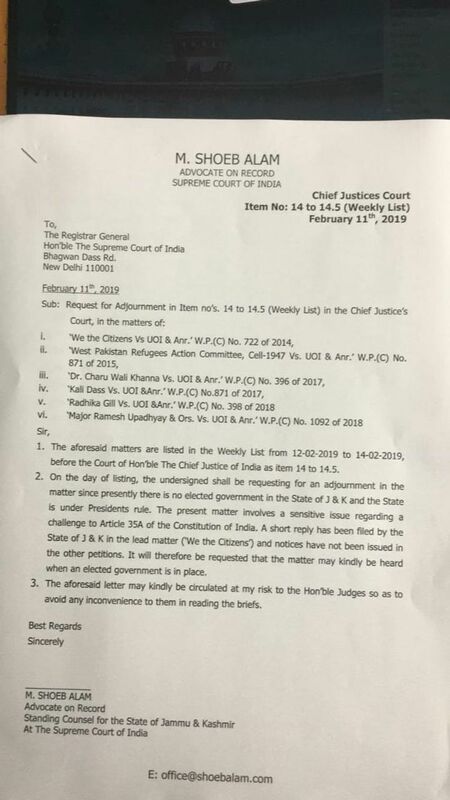 In a letter to the apex court, registrar M Shoeb Alam, Jammu and Kashmir’s standing counsel in the apex court, sought adjournment of hearing on five petitions related to 35A, citing the absence of an elected government in the state. This is not the first time that the standing counsel has made this move. In August 2018, when the matter was up for hearing in Supreme Court, the counsel cited local body elections in the state as the grounds for adjournment. RSS-backed think-tank Jammu Kashmir Study Centre (JKSC), which has for long argued to abrogate the law, said the dilly-dallying was a result of some groups in the state that are against equal rights for all. JKSC also claims that the law was fraudulently inserted in the Constitution of India as Jawaharlal Nehru did not take the constitutional amendment to Parliament. It was rather ratified just by a Presidential assent. “This is not a political matter and must not be politicised. The matter is a constitutional question and the Supreme Court has to look into the legality and its validity. It has nothing to do with the state government as a standing counsel has already been appointed. Whether there is a government in the state or not has no bearing on the issue at hand. Asking for adjournments, again and again, is tantamount to cruelty. Lakhs of people are languishing in the state as Article 35A has robbed them of the fundamental right to equality,” JKSC director Abha Khanna told MyNation. “We hope that the SC will expeditiously deal with the matter and deliver freedom and rights upon lakhs who have suffered for 70 years now,” she added.